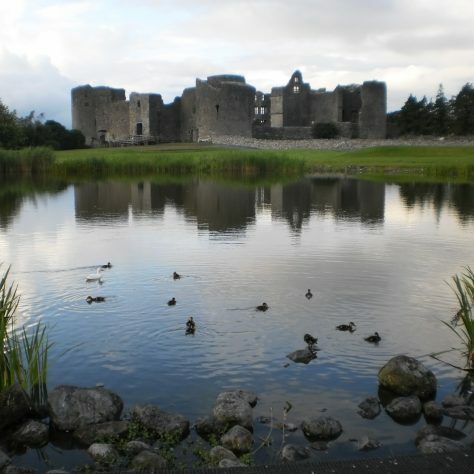 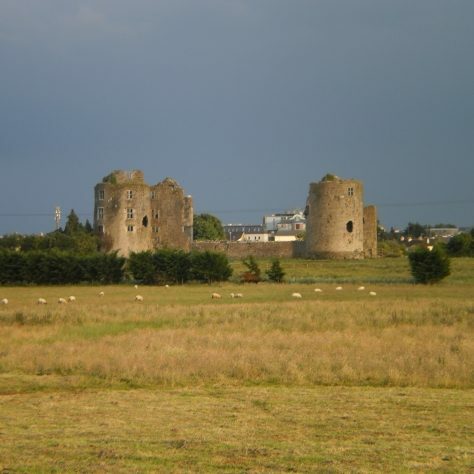 Roscommon Castle sits now in a park just inside the town. 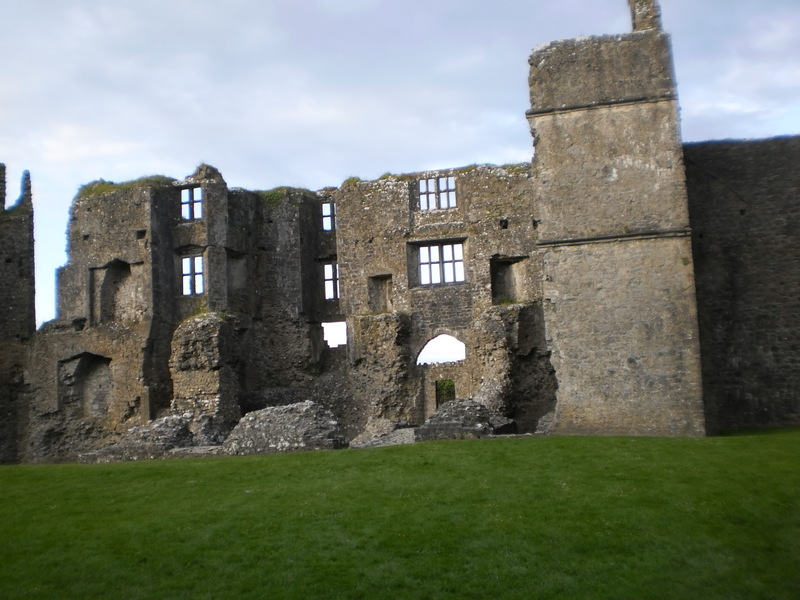 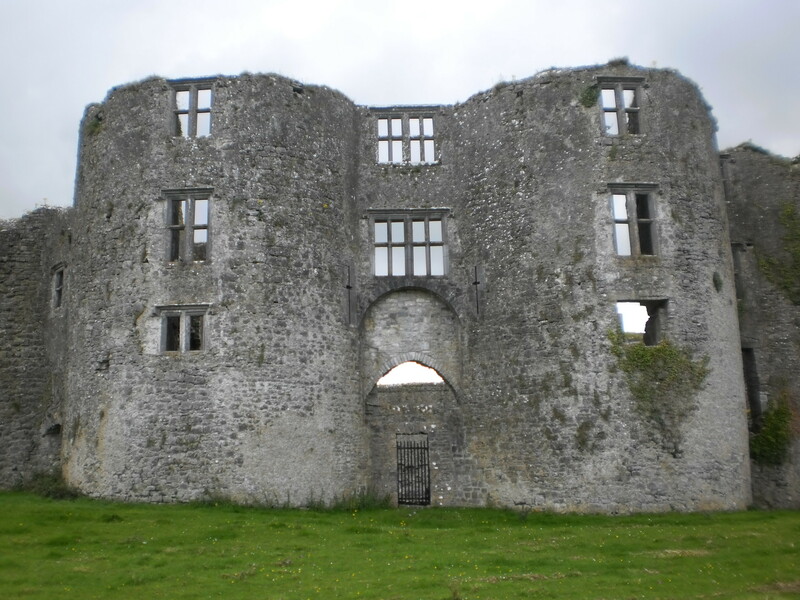 It is a quadrilateral enclosure with d shaped towers at each corner and a twin tower gatehouse at its East side. 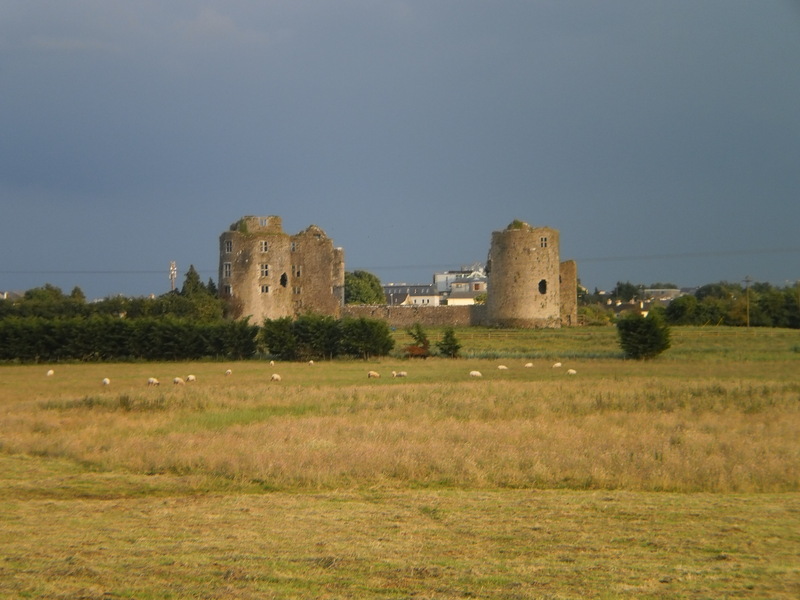 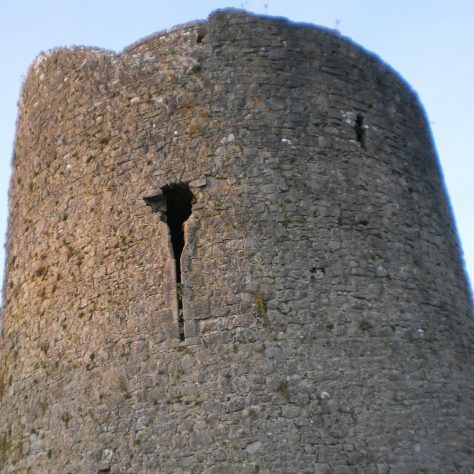 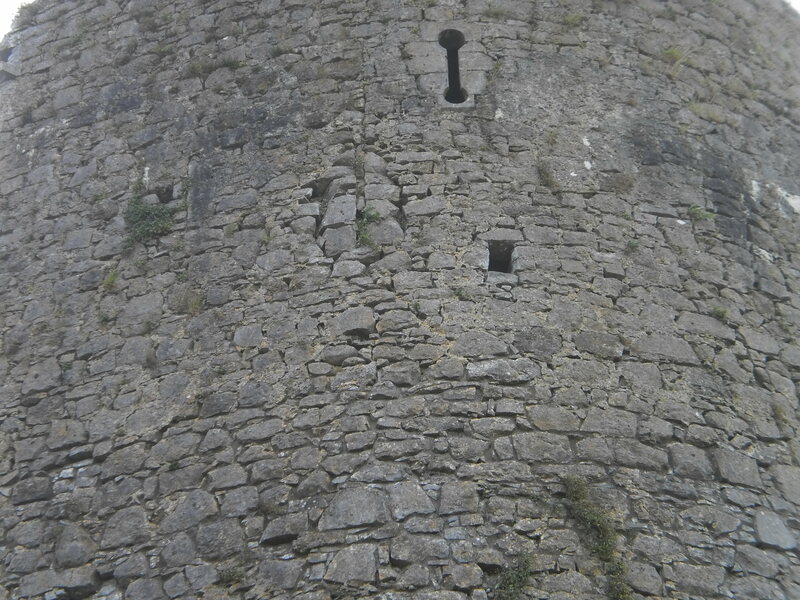 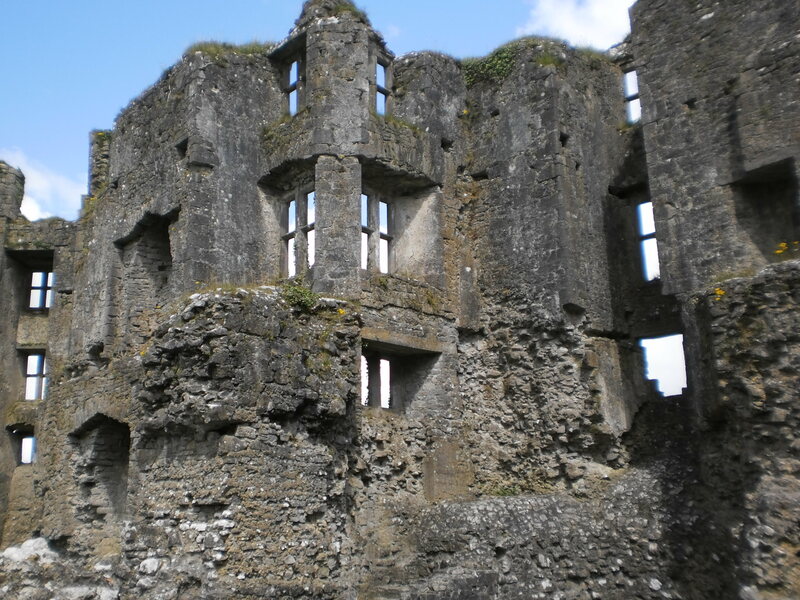 Work to build the castle was ordered in 1269 for King Henry 111 not something that Aedh O Conor, King of Connacht liked very much, so he burnt and plundered it in the early 1270s. 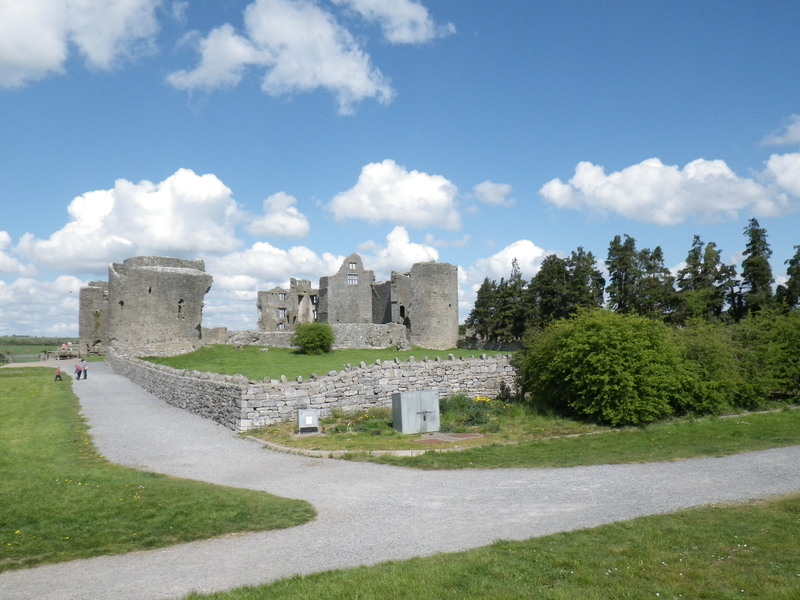 Aedh died in 1274 and so the castle was finished in the late 1270s. 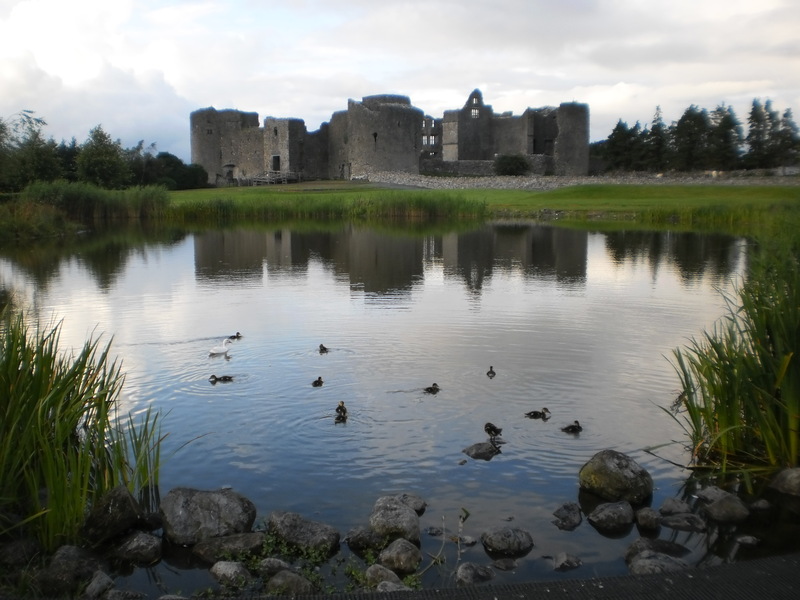 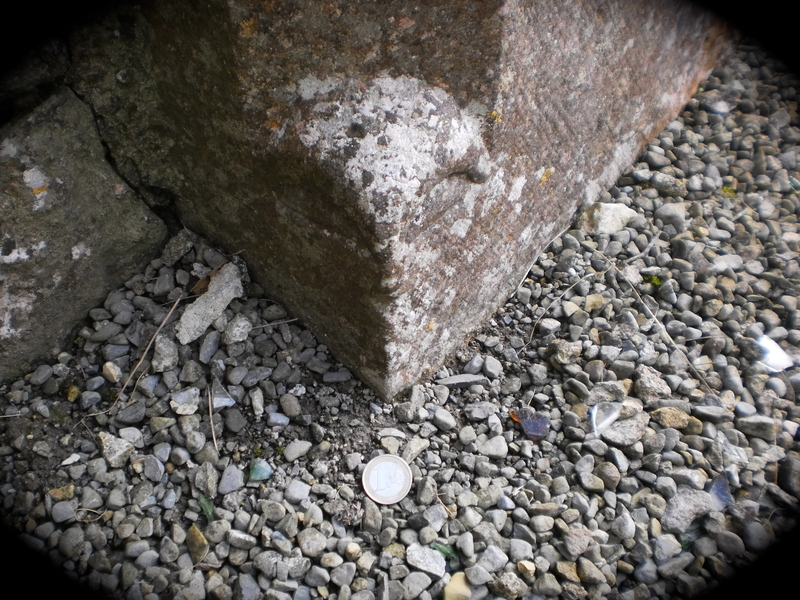 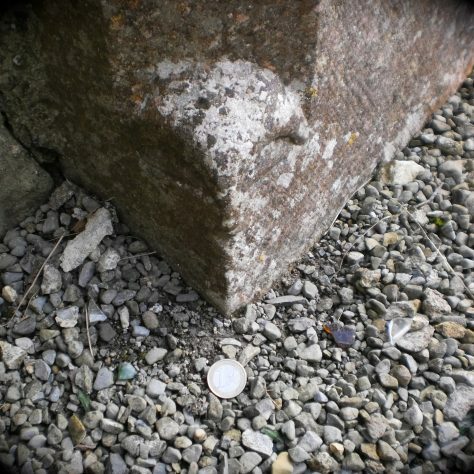 It sat not far from the O Conor crannog in Loughnanane a large lake on the edge of Roscommon town. 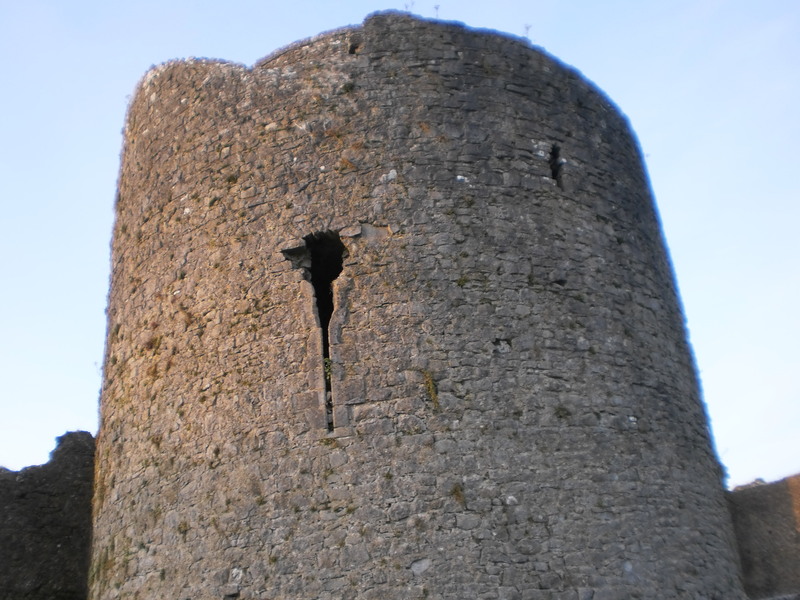 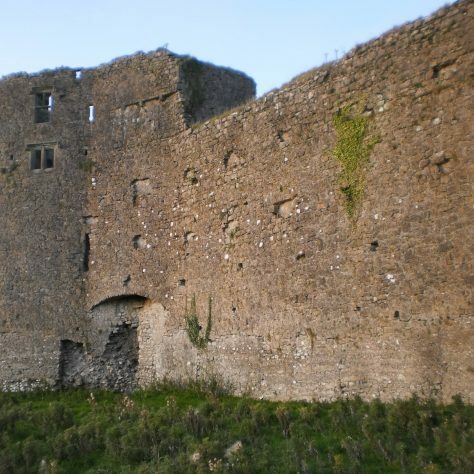 The castle was repeatedly attacked by the O Conors and was in their hands by the mid 14th century.and held by them for over two hundred years. 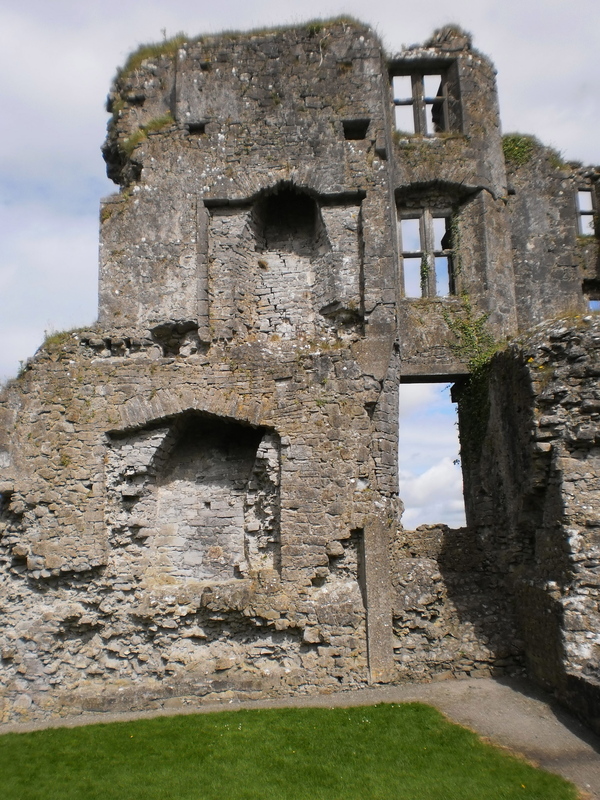 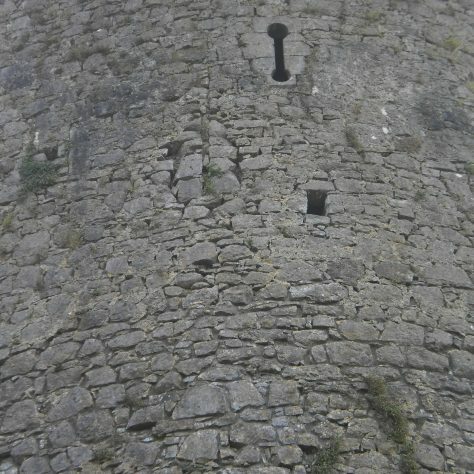 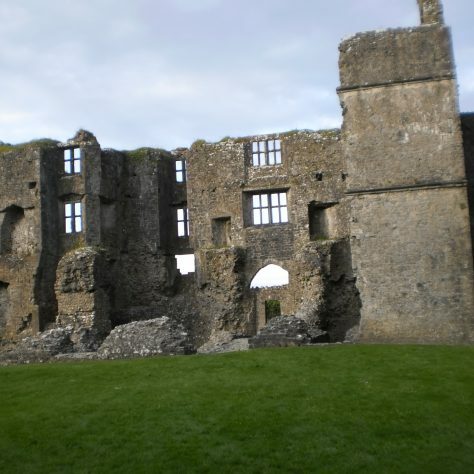 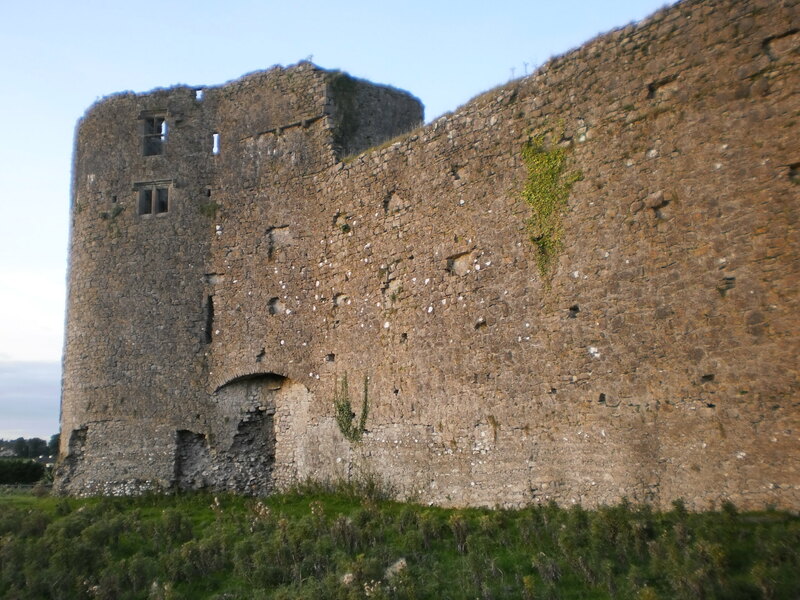 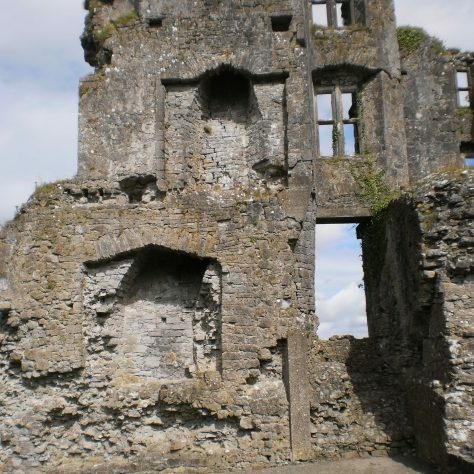 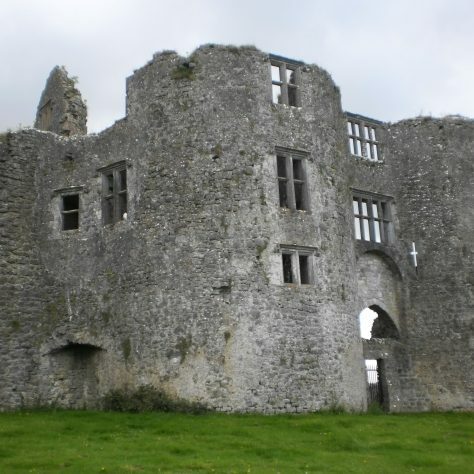 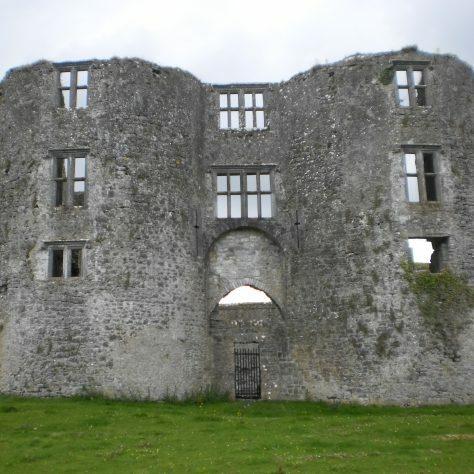 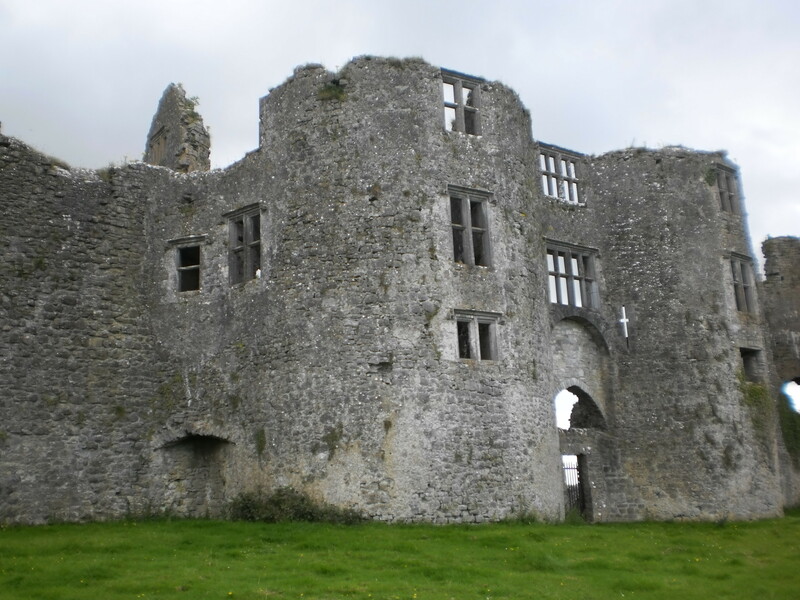 In the 16th century the English needed the Castle to control over the West of Ireland and got it back with a deal with the O Conor Don side of the family. 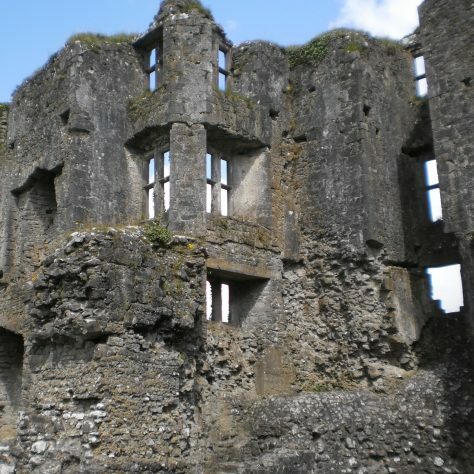 It was taken over by Sir Nicolas Malby who turned it into a kind of Renaissance – influenced fortified house, adding all the windows and fireplaces. 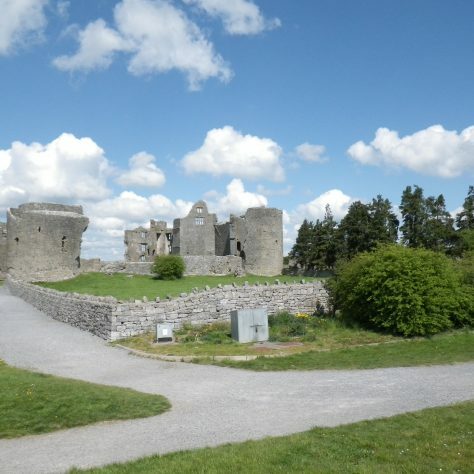 In the course of the Nine Years WAr it was besieged and again in the Confederate Wars when it was surrendered to Cromwell and fell out of use after the Williamite Wars in the late 17th century.